To me, this is an exaggerated Bullmoose (even without a “jutting chin,” with apologies to Pease). A fat (morbidly obese?) Rhodie? 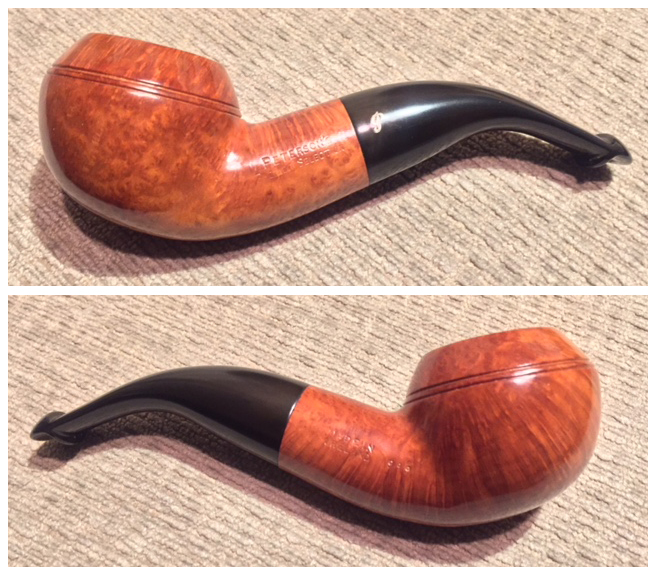 Whatever it is, truly gorgeous shape, flame and birdseye! A little too wild for my taste. I like these fat, hand-filling shapes very much (including the bent ball and the author). They are all lookers, but that Tinsky. Woof! 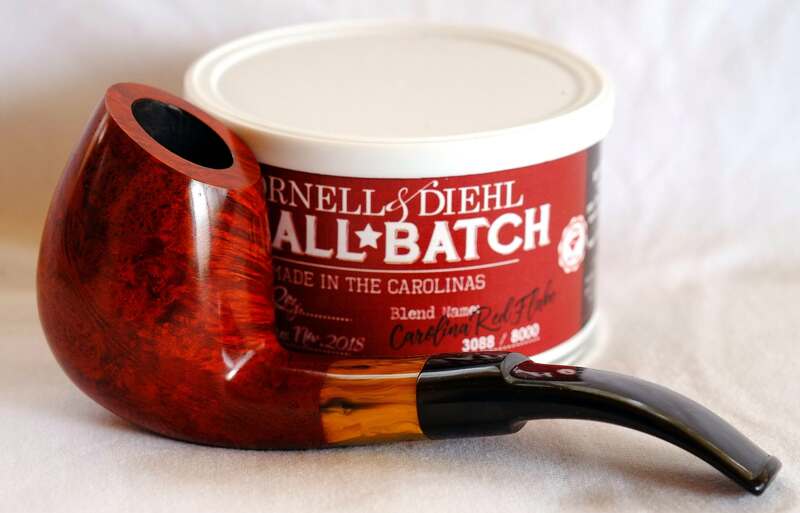 I really like the caramel colored Cumberland stem on that one. A color you don't often see. I'm getting worried. I know I dont have the imagination to see the puppies, but I should be able to see the birdseye. Maybe I shouldn't have gone to the Costco optometrist? Amazing resolution, though. Beautiful pic. Always kinda wanted a Bonfiglioli. 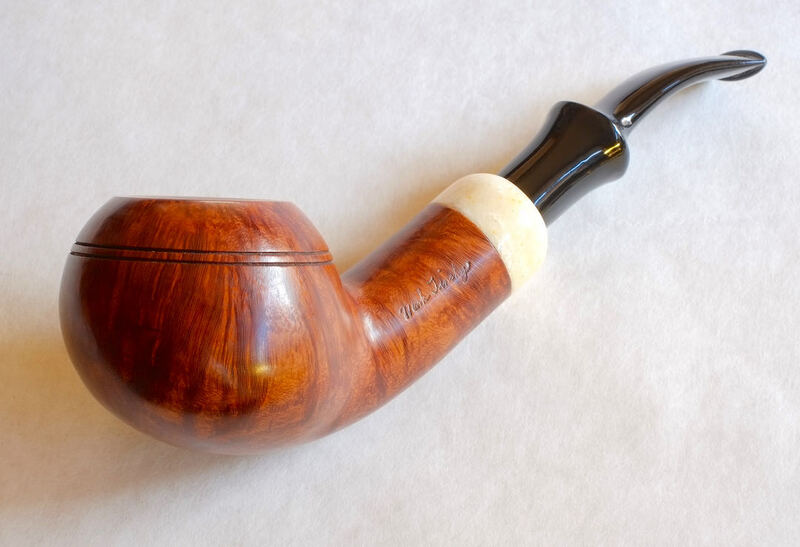 Pipe must not have a lot of strong vertical grain, but some. So there isn't really as a distinct display of birds-eye, just a little. Your eyes are fine. Here's a monster Ardor Urano "Giant" Huge Acorn Hawkbill. 7-1/4” long, 3-5/16” tall, 2-1/2" wide, with a 1-1/16" chamber diameter. Plan on a 1/2 day smoke with this one, and a full tin. 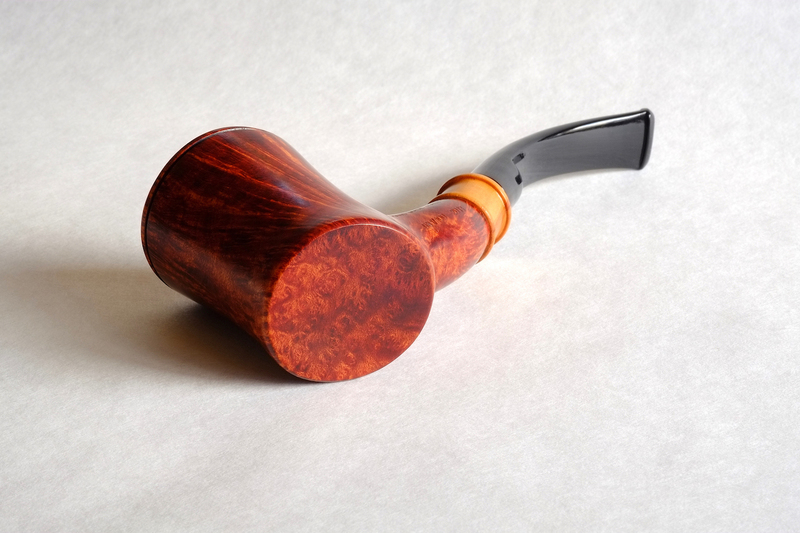 Cherrywood is now the name of that shape, Goose. 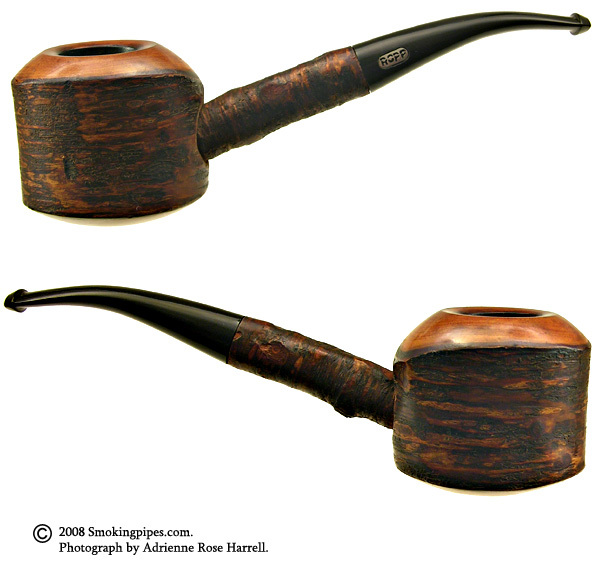 At one time, several makers made a very simple setter in that shape out of two pieces of actual cherry wood. A larger diameter piece for the bowl and a thinner piece for the shank. You can still find them from time to time. I believe Ropp was best known for them. 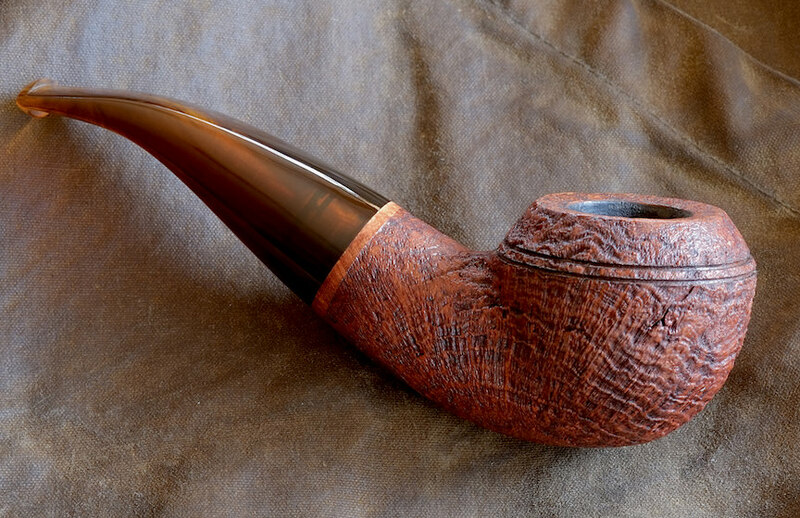 Eventually the shape was copied in briar. 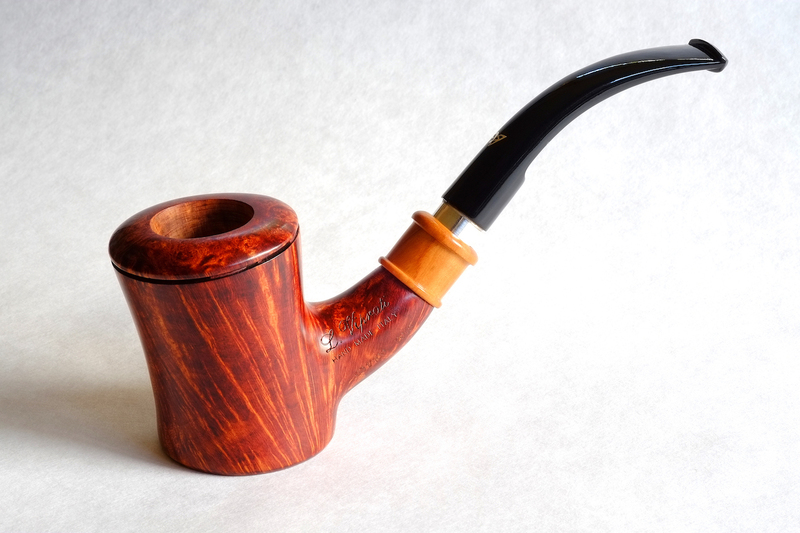 They seem to be more commonly found made of briar these days. 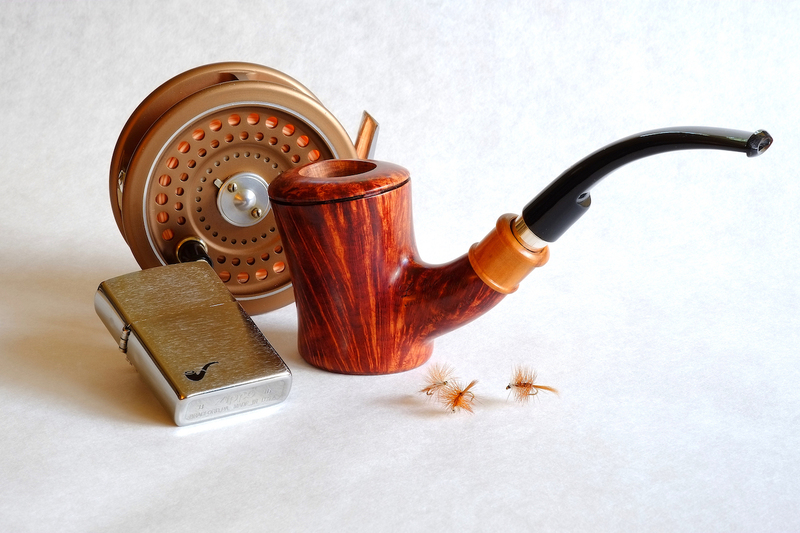 That Viprati is a briar pipe. So I can go ahead and smoke that Monkey's Fist? I’m sure you’ll get used to the smell of burning hair, skin, bone and flesh. But if you tie one use rope tobacco. 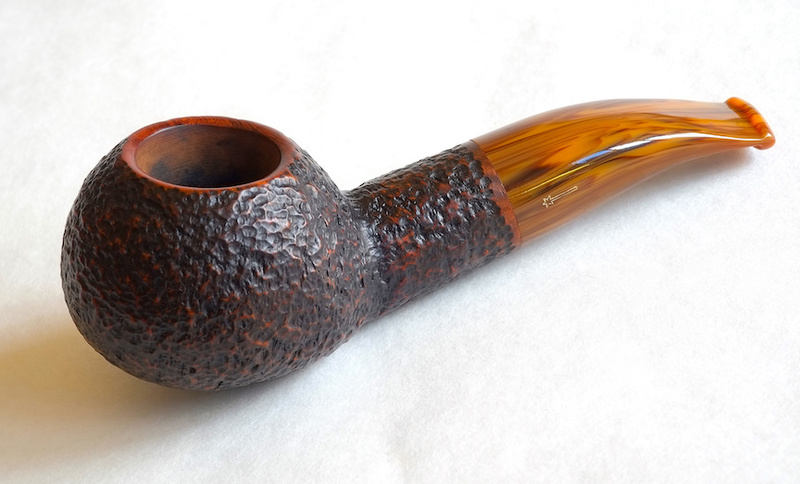 Jacono Smooth Dublin (Queen) (EE) (Unsmoked). I love the plethora of birds-eye on the wide smooth rim. El Guapo would love it! 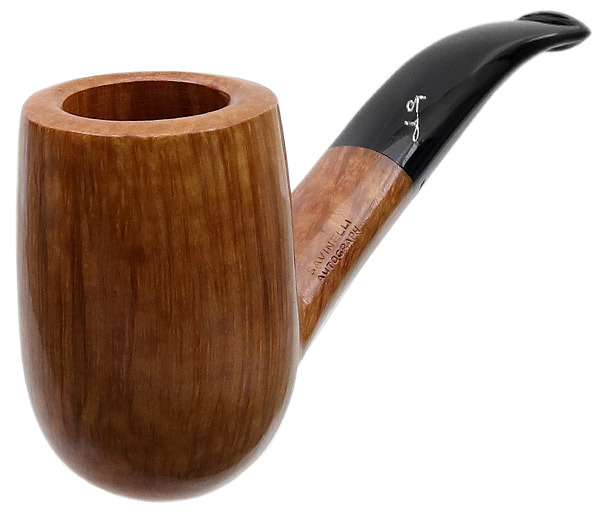 I do love a large bent Billiard but this one does not have quite as large of a chamber as I'd like.